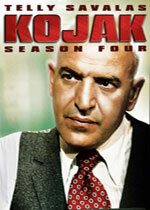 Kojak: Mystery and Suspense on Television. 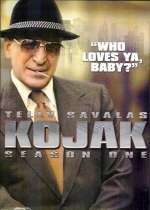 Telly Savalas was Theo Kojak, a NYPD detective whose catchphrase was "Who loves ya, baby?" 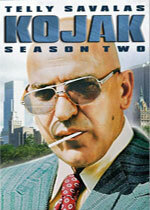 A trademark of the detective was his ever present lollipop. 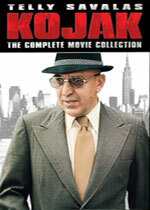 Kojak aired on CBS from October 1973 to March 1978 and included 118 episodes over 5 seasons. 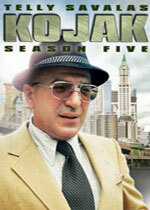 The pilot was aired as a made-for-television movie in March 1973. Two special episodes aired after the series ended, one in 1985 and another in 1987, followed by by five additional 2-hour episodes that aired between November 1989 and March 1990. 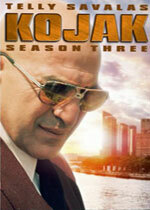 USA brought the series back in 2005 for one season with Ving Rhames as the series character. 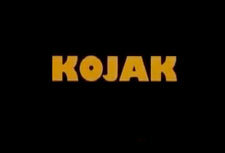 See Kojak 2005 for more information.